Hardwood floors are a more popular choice than ever and make for excellent flooring in any room of your home. When choosing a hardwood floor, you must put carefully consider various wood types. The type of wood you want will go a long way toward determining the color of the flooring. According to Hardwood Floors Mag, distributors indicate that approximately a third of their sales come from white oak species, while another third comes from red oak species. Dark hardwood floor and light hardwood floors each come with a host of pros and cons. It’s crucial that you are knowledgeable on the topic before deciding, as hardwood floors can last for more than a century if cared for properly. Below, you’ll find a breakdown of the advantages and disadvantages of each to help you make an informed buying decision. Many people believe that dark hardwood floors show less dirt, but the opposite is true. 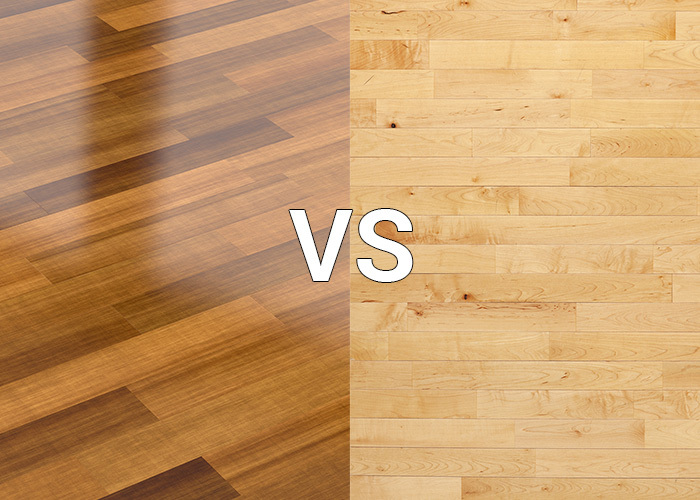 Light hardwood floors are advantageous because they show less dust than dark hardwood floors. If you expect frequent foot traffic or have younger children, you should perhaps select light colored hardwood floors to hide dust and dirt better. As the years go on, your flooring will likely pick up a scratch or two. Much like how light hardwood floors can hide dirt better, the same goes for dark-colored hardwood floors. Dark hardwood floors tend to expose scratches more than light-colored floors. This is because more of the wood’s contract will be revealed when scratched. If you have children or pets, you may want to consider light-colored hardwood floors. If you are installing hardwood floors in a smaller room, you may be looking for tools to help the room appear more prominent. Much of this involves the colors of other materials in the room, such as the color of the walls and the color of the furniture. But a rule of thumb is that light-colored hardwood floors make rooms appear more open than dark-colored floors. Most important is the fact that you are happy with your choice. 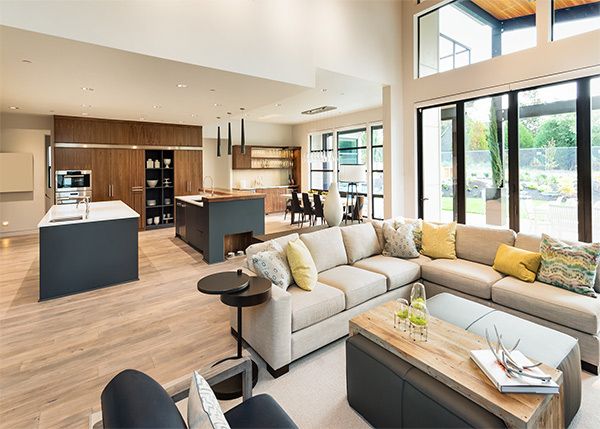 Although dark hardwood floors have grown in popularity in the Walnut Creek area over the past few years, it’s crucial that you are satisfied with your purchase. Choose the style that you most like, since you’ll be looking at the flooring for years to come! Also, remember that your trusted flooring company can stain the wood to provide you with the color of your choice. If you live in the Walnut Creek area and are interested in installing a new hardwood floor, be sure to contact Concord Carpet and Hardwood. We have years of experience helping people in the area install the floors of their dreams. From choosing the correct wood to installing the flooring, to maintaining the hardwood down the road, we are here for you. Be sure to give us a call today for a consultation!